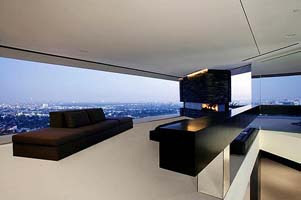 Openhouse is designed by XTEN Architecture and located in the Hollywood Hills California. It has 697 sqm area set in a slopping property above the Sunset Boulevard. 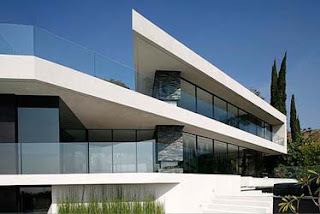 The design looks like a configuration of folded line with glass as the primary wall enclosure material. With a see through glass enclosure, from the inside people could see the amazing view bellow the hill and the natural landscape outside this openhouse. The grey glass panels also add lightness to the interior space. The elevation of the house are designed to capture air movement to passively ventilate and cool the house.